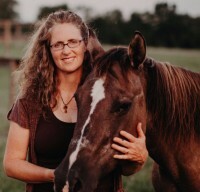 Brenda Corr, an energetic horsewoman, wife and mother of 4, is on fire for her faith in Jesus Christ! 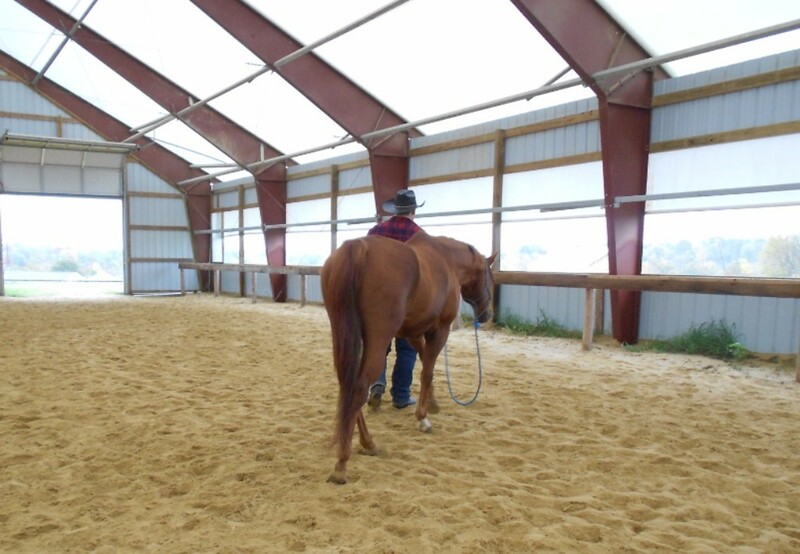 Building on the skills of Release-based Horsemanship, Brenda has become a talented teacher, guiding participants to a harmonious and deeper relationship with their horse. Sharing her love for God through horsemanship is one way she witnesses to the truth that God constantly calls us to a deeper union with Him. 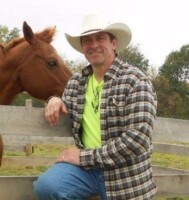 "Working with Brenda Corr, her staff, and horses provided me with a safe and healing place to do some inner work. I have a strong fear of horses and it took me a year to get up the nerve to go. I knew I had to "face my fear", and at the end of the day I was able to be in a horse arena, leading horses around! Her work was filled with God's Spirit! I felt safe and cared for at every level." "I was looking for direction in my life. With the retreat, I was able to connect with my horse, as well as God; which in turn I was able to walk away a stronger, more confident woman. Strength came not only from my horse, but from the guidance of Brenda, to the volunteers helping with the retreat. They were awesome!" Paul Gordee, father and husband of 25 years, shares his passion for the Church and her beauty through his vibrant, high energy speaking style. Paul's joy in his faith is contagious and comes through loud and clear in the way he approaches his topics of discussion. Paul, focusing on the here and now, meets each of us in the present moment building on our faith journey today. "We are all called to live a life filled with purpose in relationship with God. Evangelization is calling to us all. It's time to get up, live now and walk with Jesus!" "I was impressed by the kindness, genuine sincerity, compassion, and generousity of the team. I discovered the power of my mind ... and I could communicate with my horse without any force, but total respect. I saw others cry during the retreat to discover something that needed to be healed. Even though I didn't cry like the others, my discovery was worth a lifetime! And the dinner was fantastic :) I think a lot of people will benefit from it, as I did." Bill and Rita Lew have been married 40 years, and have 5 children and 4 grandchildren. Bill, an engineer and research scientist, now works at Gillette Children's Specialty Health Care in St. Paul MN. Rita co-founded and teaches Spanish at the Academy for Youth Educated at Home, and is an adjunct professor at North Central University in Minneapolis and a distributor for Reliv International. They home-schooled their 5 children, were active in youth ministry, mentor engaged couples as they prepare for marriage, and serve as sacristans for service at their church. They have been trained in prayer for generational healing and in deliverance prayer.